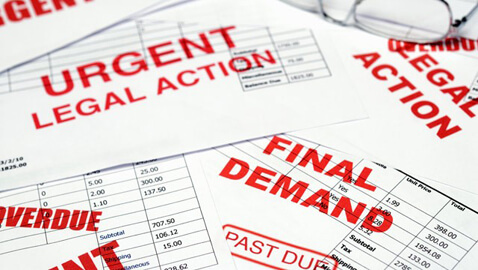 Last week, a Manhattan federal court certified a class of consumers who are victim of “sewer service” tactics by debt buyers and collection agencies. The case has brought to the fore long-used abusive consumer debt-litigation tactics that prevent individuals from contesting their cases in court. On 5th September, U.S. Circuit Judge Denny Chin certified a class of thousands of potential plaintiffs who had been sued in New York City civil court over unpaid debts and had default judgments entered against them. Plaintiffs in the lawsuit claimed that Leucadia National Corp, a company that purchases consumer debts, and the law firm of Mel S Harris Associates, which specializes in debt collection, uses methods to prevent defendants from contesting cases. One of such methods includes “sewer service” or causing notices to be improperly delivered or never served at all. The judge said that the plaintiffs had provided “substantial support” to their claims against the law firm and the consumer-debt company. Susan Shin, a staff attorney with the Neighborhood Economic Development Advocacy Project, which represented the plaintiffs, said that such “sewer service” tactics are being used by debt buyers for a long time. Carolyn Coffey, another attorney representing the plaintiffs noted that the same abusive tactics are also used in many unfair mortgage foreclosures. The case would be moving forward as a class action on alleged violations of the Racketeer Influenced and Corrupt Organizations Act, the Fair Debt Collection Practices Act, and the New York General Business Law. The case is Sykes v. Mel S Harris and Associates, U.S. District Court for the Southern District of New York, No. 09-8486.